Snood: crocheted by my friend, Brenda! Today I'm excited to share an amazing giveaway that I am doing with Twigs Woodwear! Twigs is an amazing company because they are eco-friendly--all their wood is sustainable and all their plastic is recycled. It also helps that their sunnies are extremely stylish! Twigs and I are partnering up to give away a pair of Upton Tortoise Sunglasses (shown in the picture above) to one lucky person! What's exciting about this giveaway is that I'm hosting it on my INSTAGRAM! It's a first for me, yay! 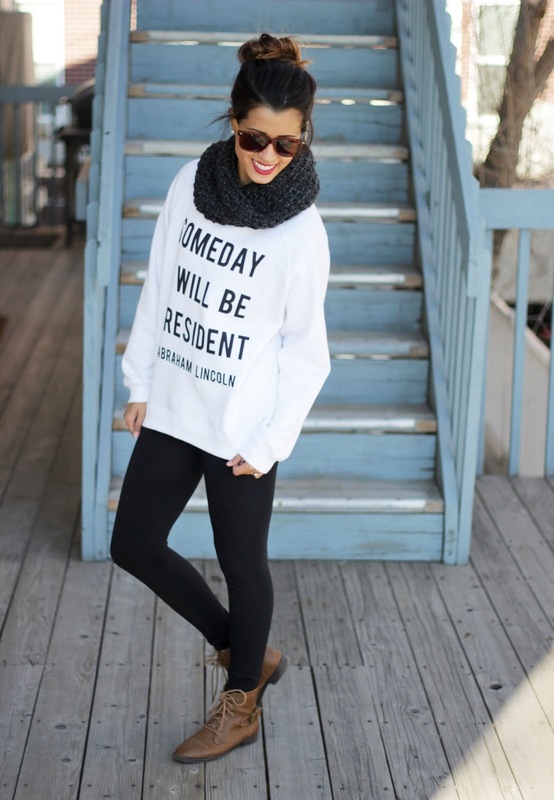 such a cute cozy look! Ty! Been following on insta for a while! How long have you been growing your hair out? Mine is about mid back and I am trying to achieve your length. That's a beautiful red lip color and great sunglasses! I'm really tempted to join instagram to try to win the giveaway! Thanks so much for sharing your look with Manic Monday! Such a cute look! Love those boots! This look is super cute!!! 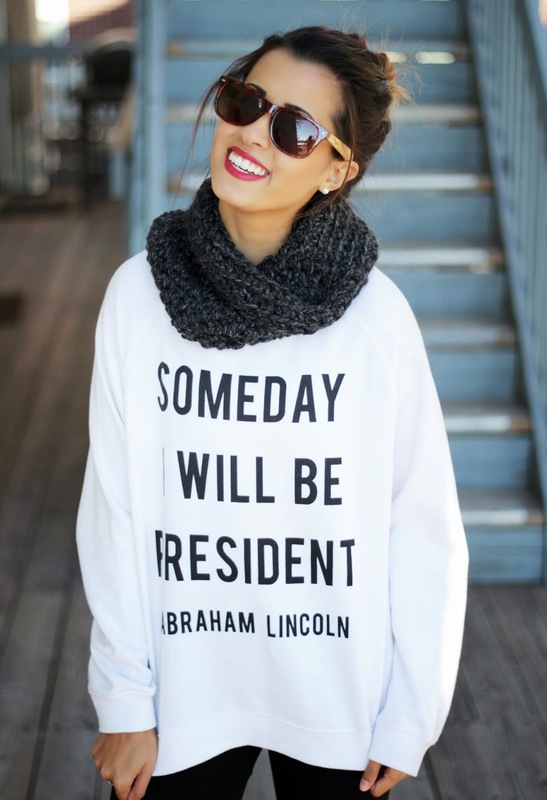 Love the sunnies and sweatshirt! You are the CUTEST! And can clearly wear anything!!! The glasses are fab! And I love this outfit! 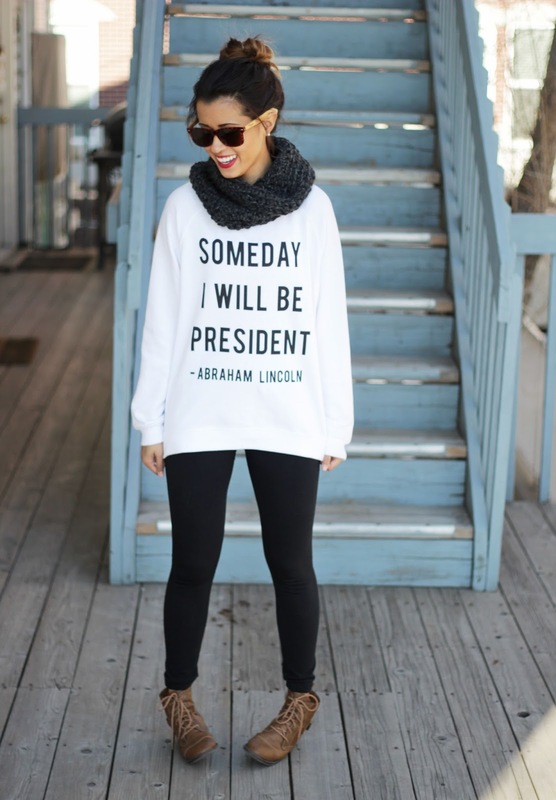 I would wear all of this! It's perfect for weekend running around! Thanks for sharing this with Manic Monday! You are so adorable! And I'm really loving those sunglasses! Super-cute! Thanks so much for linking up with Mix it Monday! 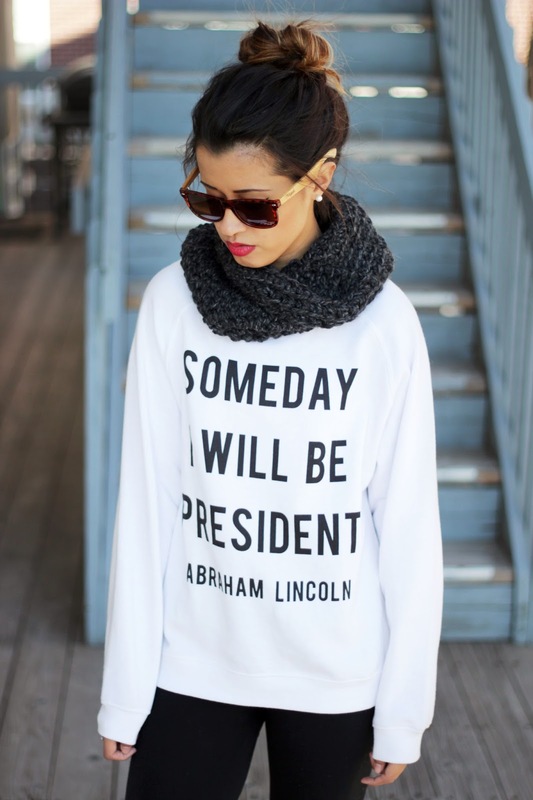 Those sunglasses look great on you but that sweatshirt is making me swoon! Thanks for linking up with Stylish Tuesday!